Scalable Vector Graphics (SVG) is an XML-based language for describing two-dimensional vector graphics. Qt provides classes for rendering and displaying SVG drawings in widgets and on other paint devices. 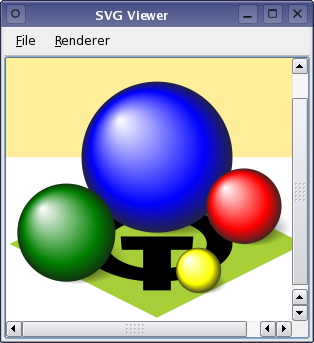 This example uses QSvgRenderer to paint onto a QWidget, a QImage, and a QGLWidget.